Our Small 'Trekker' Kettle in Stainless Steel. Boils 20 fl.oz. of water quickly using just Sticks, Pine Cones, Dry Grass, Bark, etc. Works in ALL weather conditions. 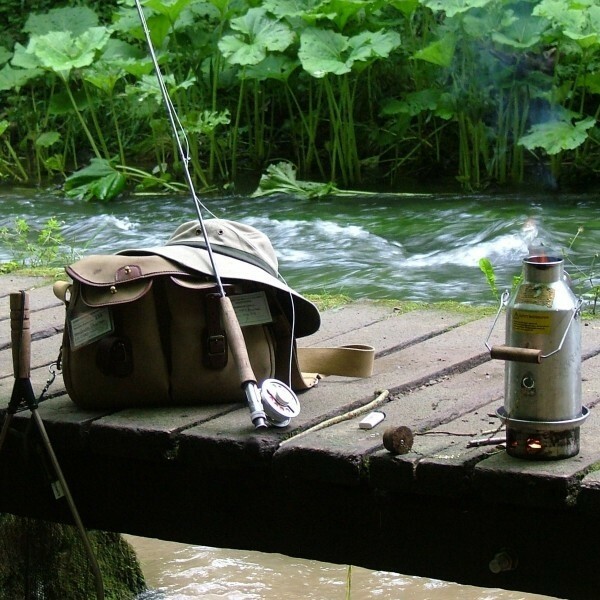 Perfect for 1-2 people, Trekking, Hiking, Backpacking, Scouts, Couples, Kayaking, Picnics, Fishing, etc. A Green Whistle has replaced the older Orange stopper and lets you know when the water is boiled. Canada Customers: Click Here for a list of Preferred Vendors in your area. 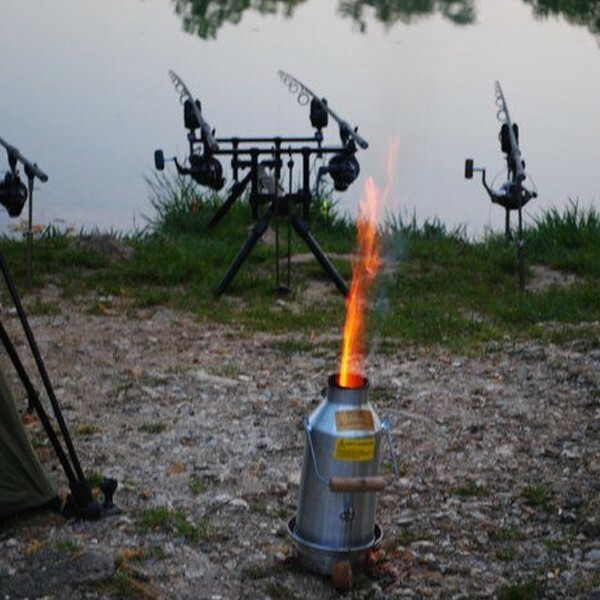 The Steel 'Trekker' Kettle boils approximately 20 oz. 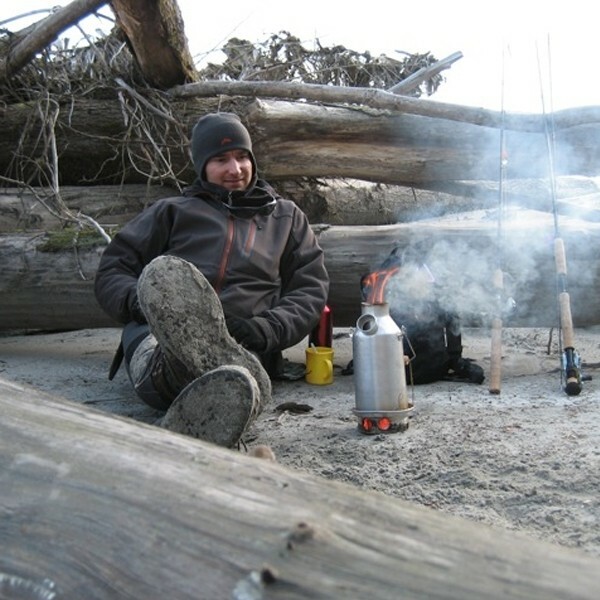 of water at a time and is ideal for Kayaking, Car Camping, Scouts, Picnics, Hunters, Backpackers, and Wilderness Survival Kits. 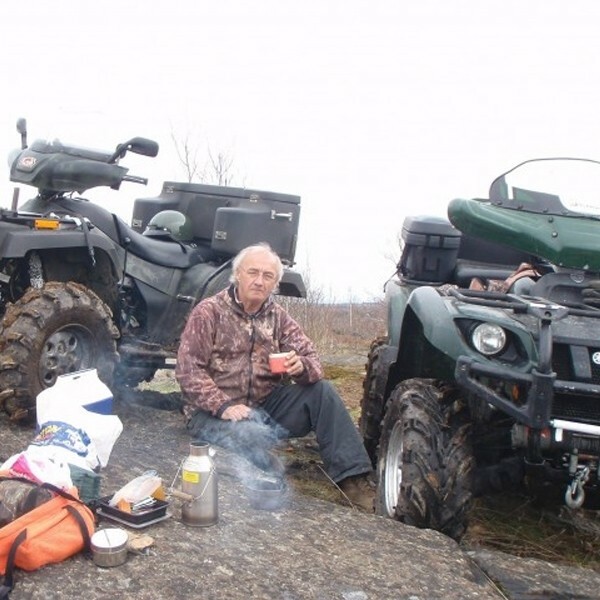 It is also perfect for people who like to go 4 wheeling off road. 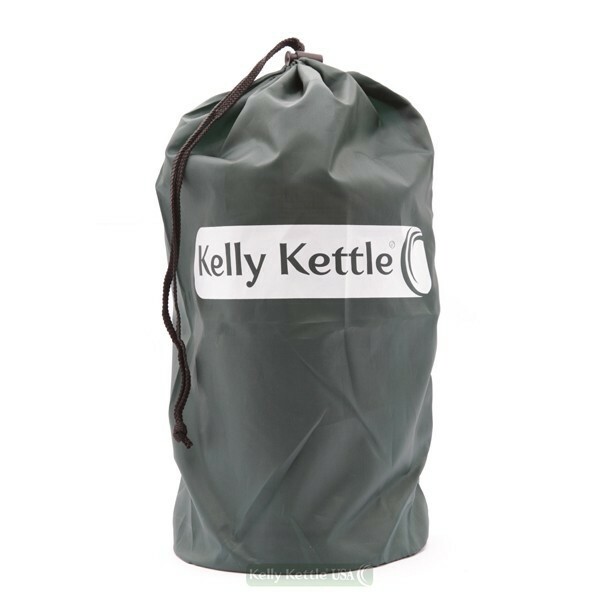 The Kelly Kettle is also great to have in your Disaster and Emergency Preparedness Kits, Humanitarian Kits and also for all those who love the great outdoors. 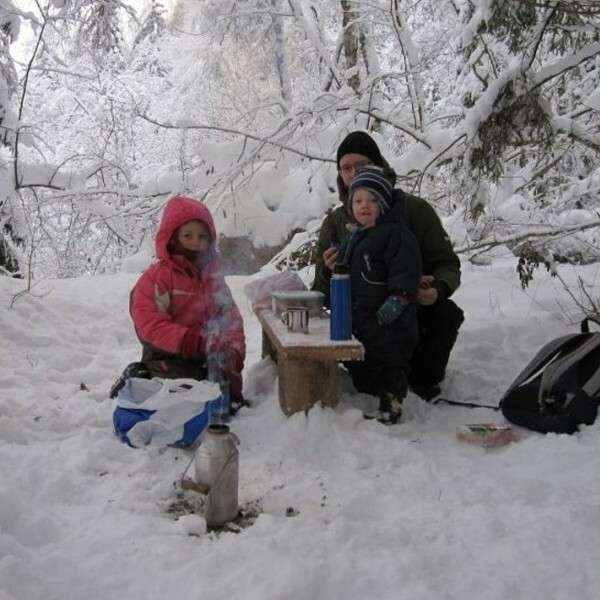 The Kelly Kettle works great in stormy conditions, bringing water to boil within a matter of minutes using whatever solid fuel is naturally occurring in the area - sticks, grass, pine cones, birch bark etc. No need to carry extra fuel. 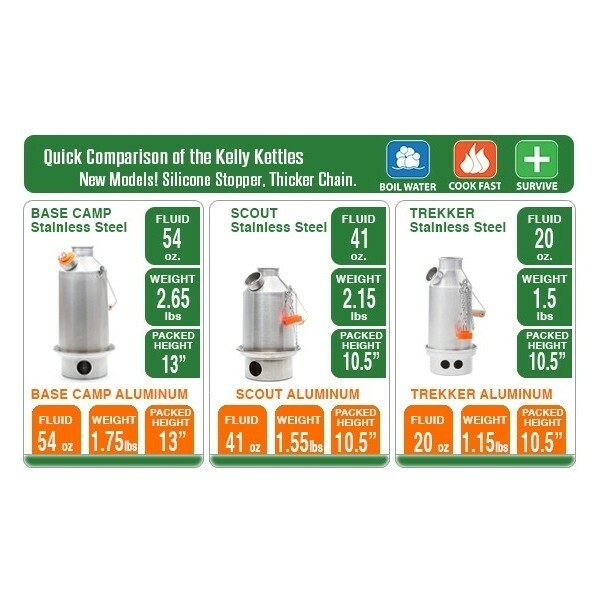 There are no running costs associated with your Kelly Kettle. 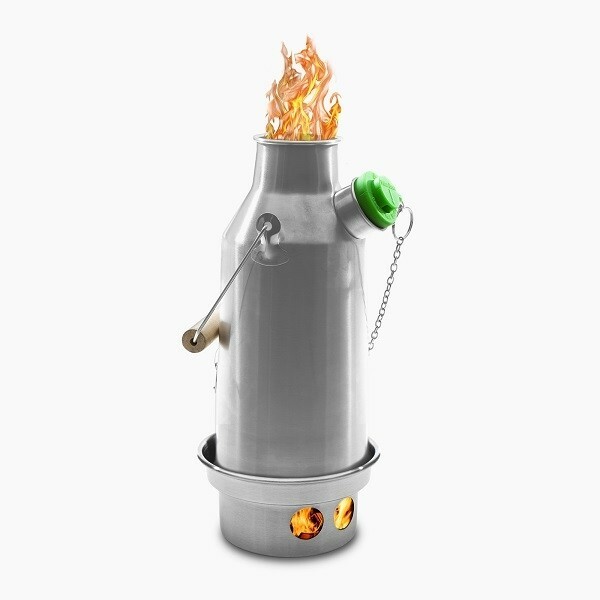 Users have described these kettles as the "Greatest Invention of all Time." 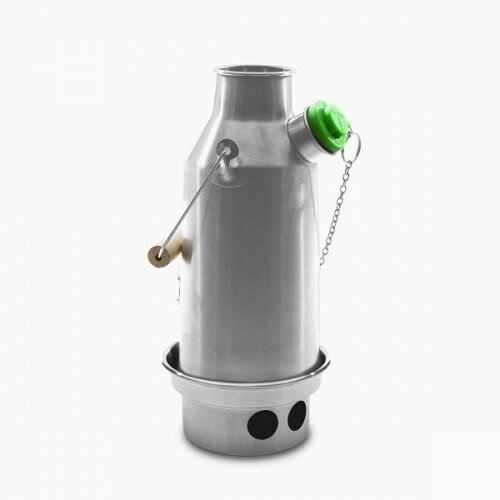 These carbon-neutral Kelly Kettle's are Eco Friendly and make camping fun and easy. 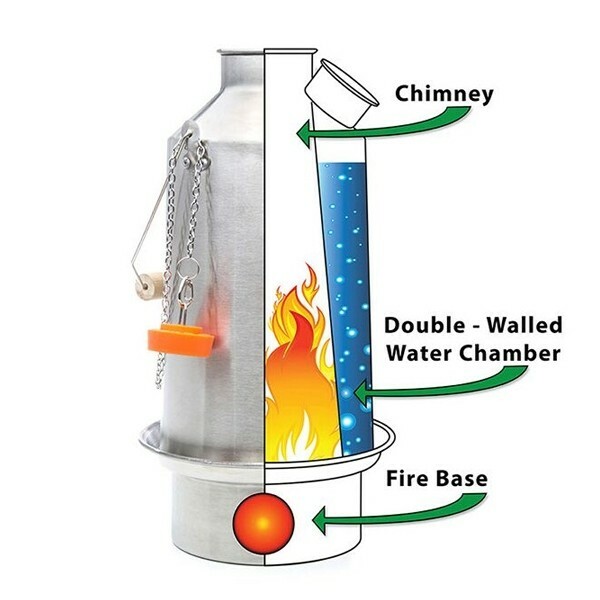 Add a Pot-Support and Cook Set to your Kelly Kettle to cook small amounts of food over your Kettle while your water comes to a boil. Cook foods like, Noodles, Rice, Oatmeal, Re-hydrated Food, Soup, and much much more. See the Accessories Category for these products.